Play Green Thumb today in HD for FREE! This "fan favorite" mobile download is Ad Supported with many ways to remove the ads after download. 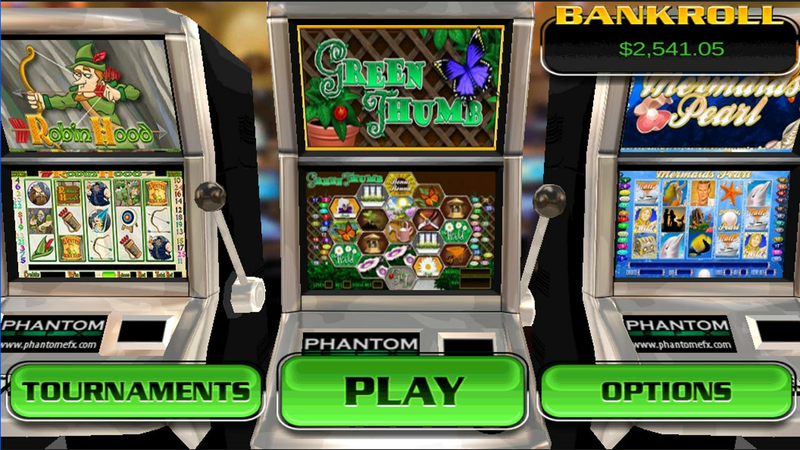 With stunning visuals and beautiful music, Green Thumb will keep you spinning and winning for weeks! While spinning, land a special Vine symbol anywhere on the reels, and it will grow up off the top of the slot, turning all symbols above it Wild! It can even branch off and move up 2 reels at the same time! 4 special Seed Packets can land on the 5th reel, and each one will plant a different special feature on the reels… full reel Wilds, sticky Bonus Symbols, and more! 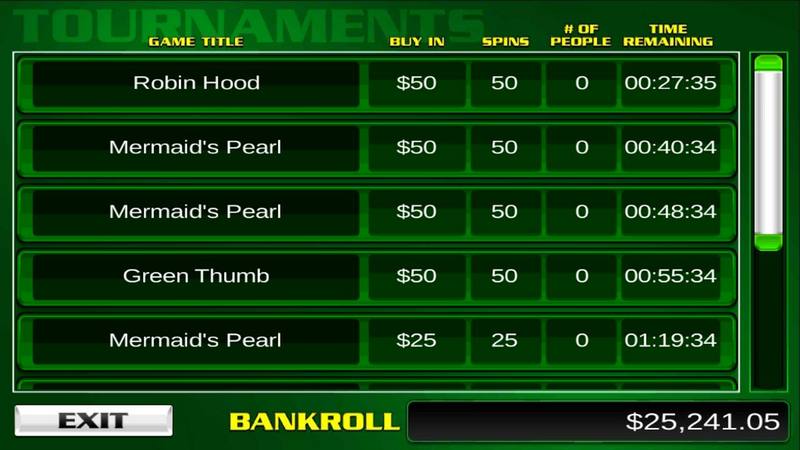 The Free Spin Bonus Round is the first of its kind: each spin is multiplied starting at 5X. After each spin, spray a symbol with Weed Killer, and all instances of that symbol disappear from the reels, giving you a much better chance of hitting on the remaining symbols! 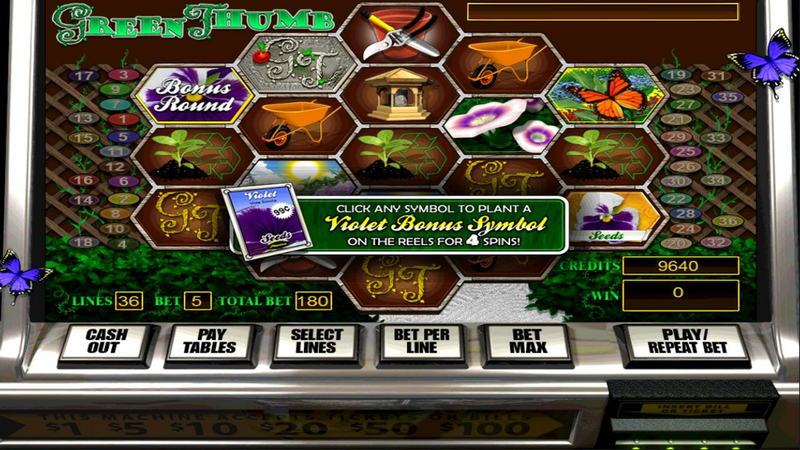 By the last free spin, ½ the symbols are eliminated resulting in some HUGE wins! Sure to be one of our most popular slots ever, pick up Green Thumb today!